SALE: Buy One Get One Half Off! 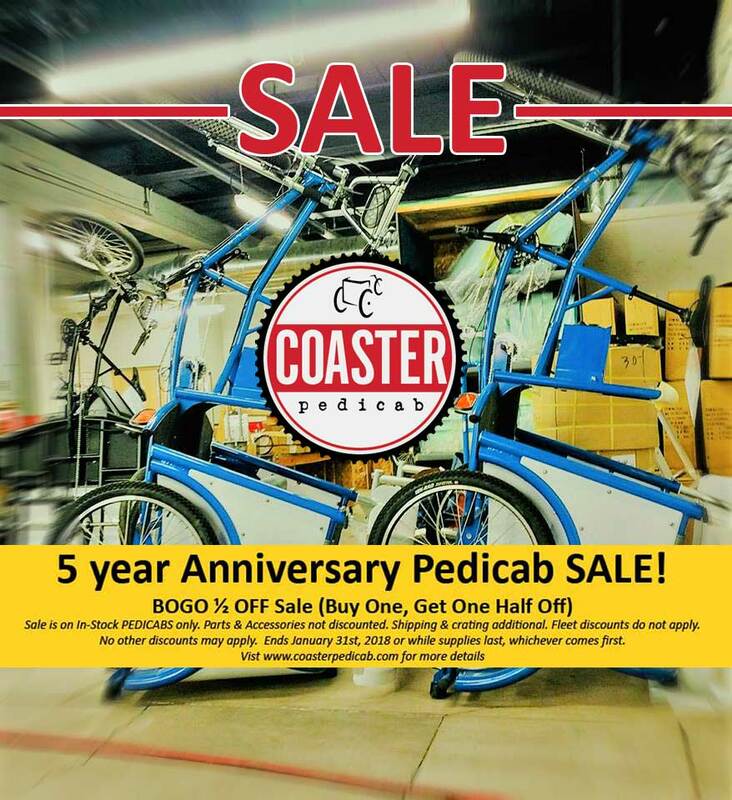 Sale is on In-Stock PEDICABS only. Parts & Accessories not discounted. Shipping & crating additional. Fleet discounts do not apply. No other discounts may apply.Ends January 31st 2018 or while supplies last, whichever comes first. Contact us for a list of our current stock.